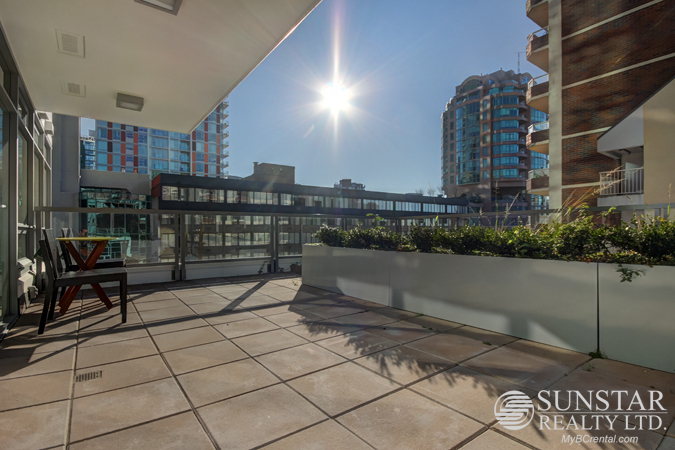 Downtown Furnished 1 Bed + Off 1 Bath Condo w/ Huge Patio @ SALT - $2450 — Lynn Swanson At a glance guide to all currently available fully furnished properties managed or represented by Sunstar Realty Ltd. Lease term: minimum one year stay. Included items: fully furnished from cutlery to linens; from flat screen TV to designer soap dispensers; fridge, stove, dishwasher, microwave and washer/dryer; and also includes maid service twice a month, utilities, cable, and high speed wireless internet. Not included: telephone, additional cleaning & move-out clean. 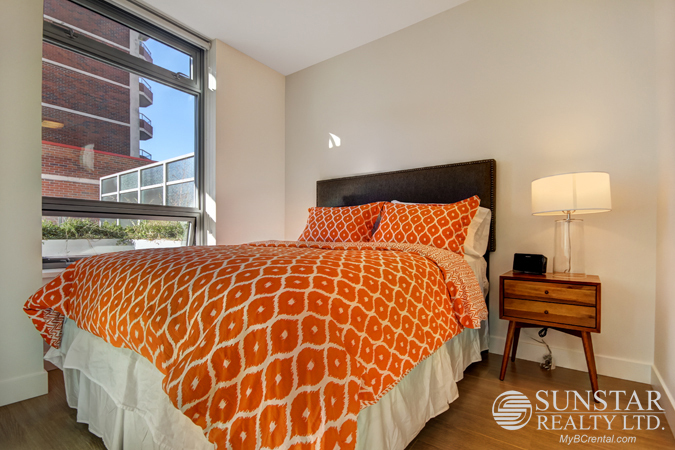 Amenities: gym, social room with kitchen and outdoor terrace, courtyards, shared bike lockers. 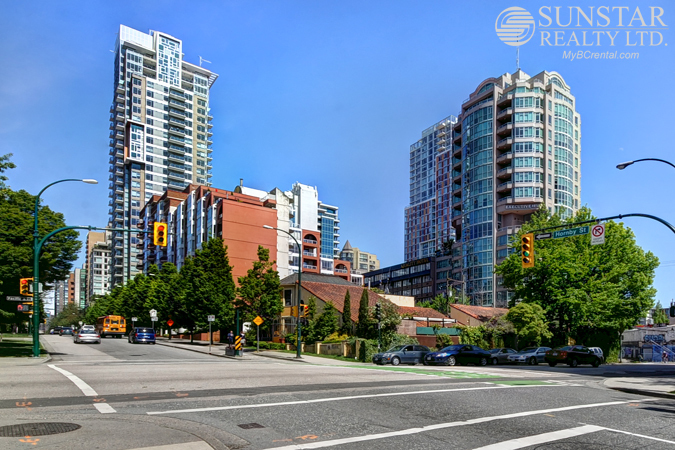 LOCATION: SALT is located at Hornby St and Drake St in Downtown South 3 blocks to the Seawall and just 7 blocks from Yaletown-Roundhouse Skytrain Station. 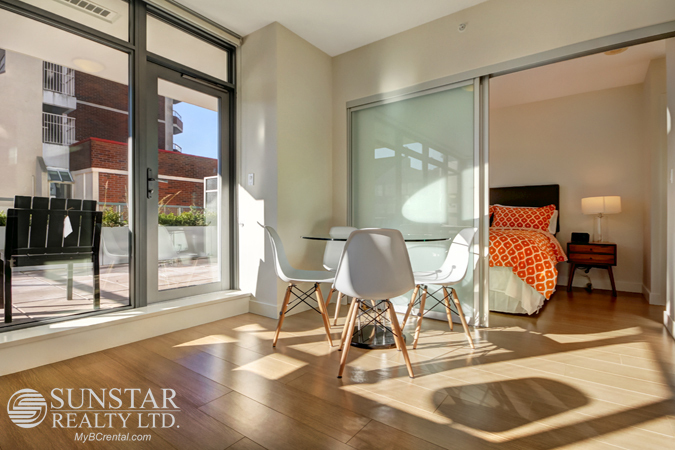 Conveniently located between West End, False Creek North and Yaletown, all the Downtown amenities from dining, shopping to entertainment are all within walking distance. Just 13 minutes to English Bay through Seaside bicycle route. There are Sushi Hiyori, Panz Veggie, Saigon Venture, Musette Caffe, Burrard Deli, and Creekside Restaurant and Lounge within 1 block from SALT. A lot more local shops available along Burrard and Davie. Aquabus departs Hornby Street and takes you to Granville Island once every 7 to 10 minutes. 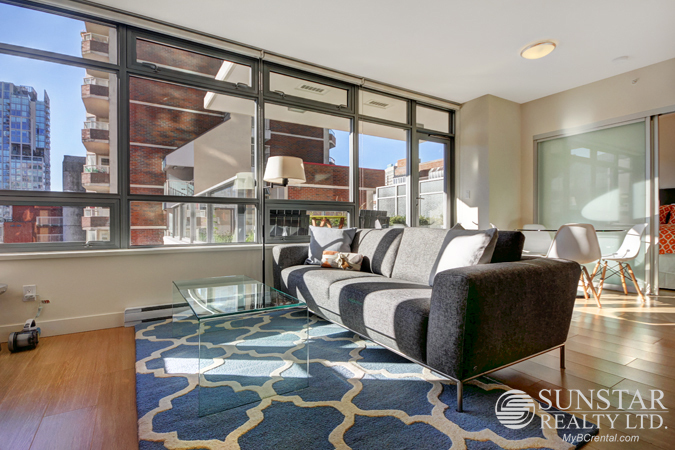 FEATURES: Bright interior boasts expansive windows with modern roller blinds, laminate wood flooring throughout the principle living space,and frosted glass sliding room dividers to bedroom to maximize space. The patio is massive and has garden area for plants and flowers. Bathroom includes large format floor tiles, custom vanity with back painted glass drawers & undermount wash basins, rain shower heads & frame-less glass walk-in shower plus square-profile bathtub. Kitchen is bright and modern with white gloss laminate cabinets with soft closure hardware, caesarstone quartz countertops, undermount stainless steel sink and under-cabinet lighting. Upper quality/efficient appliances have full overlay paneling to match cabinetry (and includes Blomberg fridge, Fisher & Paykel dishwasher drawer, AEG ceramic glass electric cooktop, Fisher Paykel built in wall oven and Panasonic microwave.). Queen size bed in master bedroom. In suite storage room accessible through master closet. In suite laundry. 1 underground parking spot. 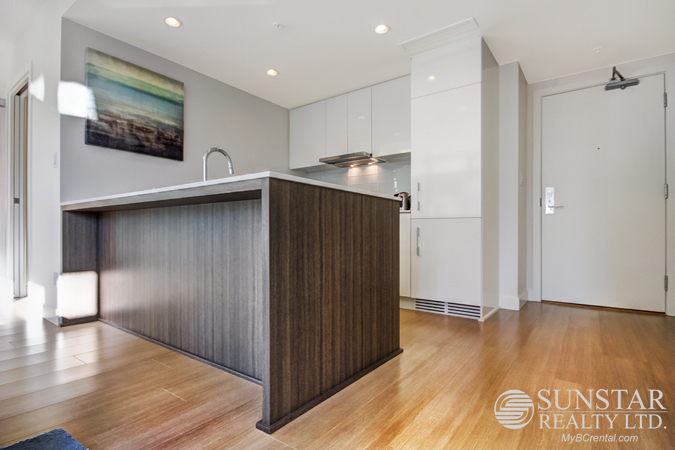 Yaletown Furnished Condo - Sunstar Realty Ltd.